As neither a parent nor a little kid, I always feel as if I’m being a little unfair passing judgment on They Might Be Giants’ children’s albums. “How should I know if this is good or not? It’s not made for me! 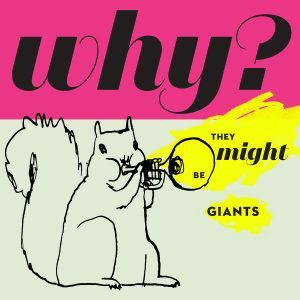 A seven-year-old could have an entirely different perspective than I do!” But as a TMBG superfan, I can’t just let new work by them go by unnoticed, whether I’m in the target audience or not. Why? is the band’s latest album for tiny tots and their second release of 2015 (busy busy!). Like the spring adult release Glean, many of the songs on Why? were culled from Dial-A-Song, a fabulous service through which TMBG has been releasing a new song every single week this year. The best songs on Why? are the ones that weren’t immediately obvious as being intended for children when they first appeared on Dial-A-Song. In the case of “Thinking Machine,” the two Johns that make up TMBG weren’t even aware at the beginning of recording that one thought it was intended for the adult album and one thought it was intended for the children’s one. All of the standout tracks give kids a taste of surreal bizareness. “Thinking Machine” has The Johns as computer and befuddled human holding a conversation (let’s just say the computer does not exactly pass the Turing test). “Hello Mrs. Wheelyke,” another song with The Johns sharing vocals, cleverly has Linnell building a whole alternate set of lyrics on top of Flansburgh’s. “Or So I Have Read” presents amusingly ridiculous “facts” and could allow parents to open up a conversation about the importance of checking Snopes. The rest of the album is clearly aimed at the little ones, but there are some gems here that can be enjoyed by grown-ups as well. The adorable “Definition of Good” is a simple list of fun activities, from building blanket forts to listening to Captain Beefheart. “Oh You Did,” with charming vocals by Flansburgh’s wife Robin Goldwasser, lists more fun ways to spend time, but in this case they are ones that are guaranteed to get you in trouble. “Walking My Cat Named Dog,” a cover of a 1966 song, is quiet and dreamy. Unfortunately, Why? has a handful of songs that might be lots of fun for kids but come across as just grating for the adult listener. “And Mom and Kid,” which was commissioned for a HBO special about LGBTQ families, has good intentions but doesn’t really go anywhere with them. Similarly, “Then the Kids Took Over,” also from a special (this one about environmentalism), ruins its positive message with a heavy-handed spoken bit. “Elephants,” which is perfectly innocent musically, seems like it might actually be scary with its lyrical warning to avoid elephants lest one get stomped on. Overall, Why? is a reasonably strong album with some high-quality songs. Casual adult TMBG fans would be better served picking up Glean, but kids and more devoted followers of the band will definitely find some things to enjoy here. Quinn Collard spends her days drinking coffee, cuddling with her kitty, and spilling her John-Linnell-loving guts out all overhttp://museumofidiots.com. Friday on My Mind: Comets in Space! 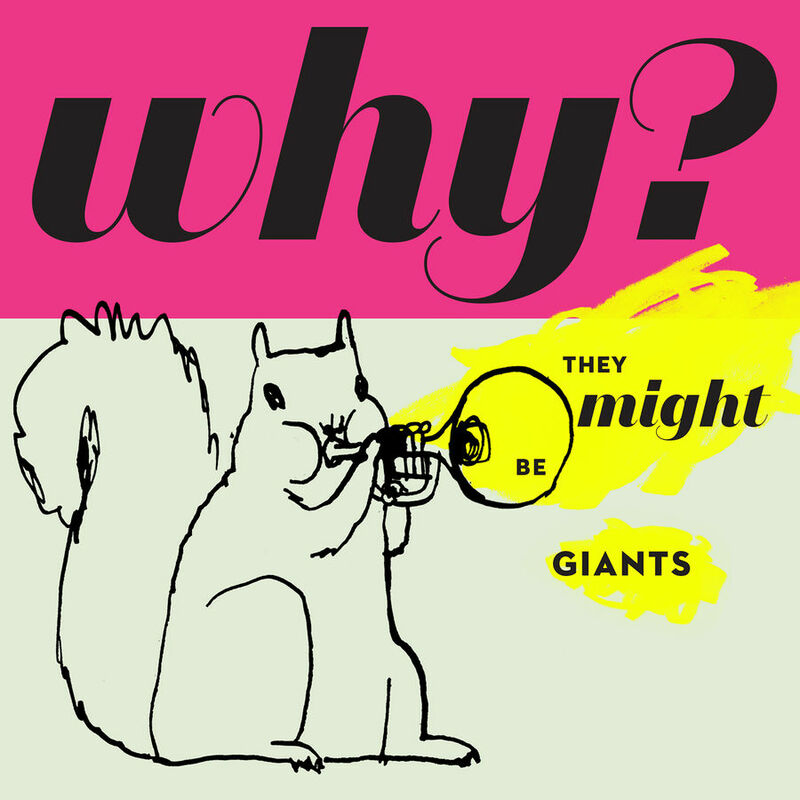 Brand new: Long White Beard w/ Robin Goldwasser from Why? Record Store Day roundup – what did you buy?